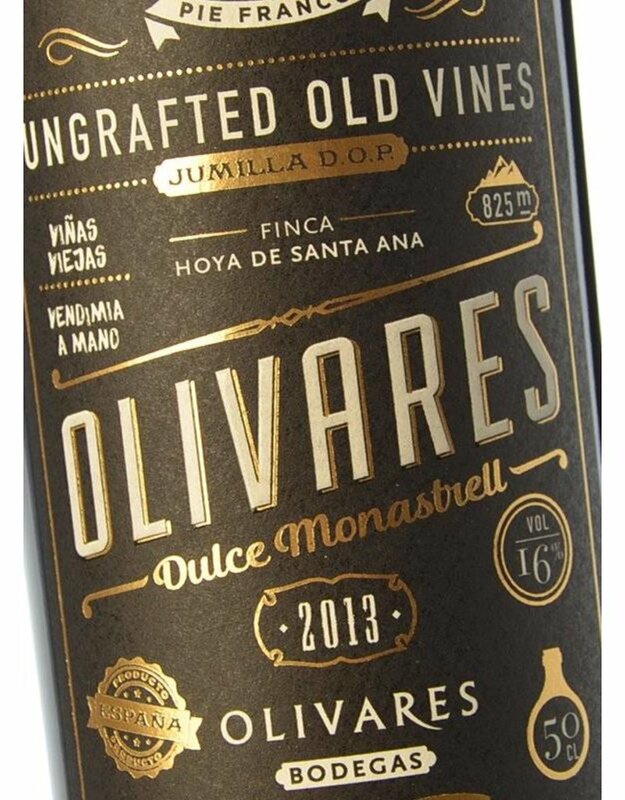 While Spanish dessert wines are not impossible to find the country is much more renown for their sherry. This is a happy exception. A general rule is that the dessert wine should be sweeter than the food it is served with - a perfectly ripe peach has been described as the ideal partner for many dessert wines. Red dessert wines are served at room temperature or slightly chilled. 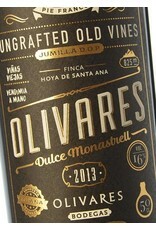 Olivares Dulce Monastrell is a cherry-red color, with carmine and maroon tones. Complex smelling, the aroma of figs, dates and ripe fruits can be smelled with intensity and freshness, look for a slight rubber note as well. It combines perfectly with all kind of desserts, especially those made with chocolate, and for contrast, with blue and aged cheeses.